WORDSMITH (AUS) (Chestnut 2003-Stud 2009). 4 wins-3 at 2-to 1300m, $273,600, VRC Debonair S., Gr.3. 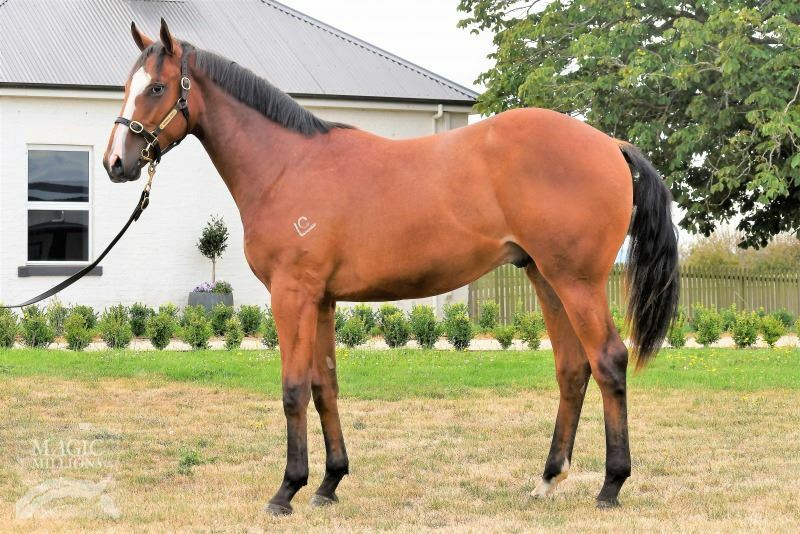 Sire of 125 rnrs, 76 wnrs, inc. SW Gee Gees Top Notch (TRC Elwick S., L), Geegees Goldengirl, Gee Gee Double Dee, Geegees Classicboy, SP Gee Gee Secondover, Gee Gee Lanett, Geegee Rock'n'run, Gee Gee Red Prince, Gee Gees Vicki, Geegees Doublejay, Gee Gees Style, Geegees Velvet and of Gee Gee Bay Watch, Geegee Trendsetter, Gee Gee Pure Gold, etc. Mr West (g by West Quest (Can)) Winner at 1100m in 2017-18 in Aust. Super Tuscan (g by West Quest (Can)) Winner at 1300m in Aust. Absolute Faith (f Not a Single Doubt) 2 wins-1 at 2-at 1200m, 1400m, A$224,000, VRC Nouvelle Star H., Community Raceday 2YO H., 2d MRC Autumn Classic, Gr.2, Glasshouse Cafe 2YO H., 3d STC Vinery Stud S., Gr.1, VRC Vanity S., Gr.3, MVRC TEAC Flashback P., 4th AJC Australian Oaks, Gr.1, MVRC William Crockett S., L. Producer. Miss Eastloch. 3 wins. See above. Noble Spur. 3 wins at 1350m, 1800m, City Tatt's RC Konami Australia Pty Ltd H., AJC Bobs Grenoble H., 2d STC Mount Carmel High Varroville H., 3d STC Save Now & Be a Member H.
MYTHICAL GEM (c Jade Hunter) 4 wins from 8½f to 1¼m, Belmont Lexington S., Gr.3, Pimlico Honor Guard S., L, 2d Delaware Park Nick Shuk Memorial H., L.
APPLE CHARLOTTE (f Smart Strike) 3 wins-1 at 2-at 1m, 8½f, Penn National Red Carpet S., L, Gulfstream Park Allowance, 2d Gulfstream Park Herecomesthebride S., Gr.3, 3d Colonial Downs All Along S., Gr.3. Producer. MARLEY'S FREEDOM (f Blame) 7 wins from 6f to 1m, US$815,935, to 2018, Saratoga Ballerina S., Gr.1, Los Alamitos RC Great Lady M S., Gr.2, Aqueduct Go for Wand H., Gr.3, Santa Anita Desert Stormer S., Gr.3, 2d Santa Anita Santa Monica S., Gr.2, 4th Santa Anita La Brea S., Gr.1, Breeders' Cup Filly & Mare Sprint, Gr.1. NOBLE CHARLOTTE (f Include) 5 wins from 1m to 8½f, US$239,060, Presque Isle Downs HBPA S., L, 2d Presque Isle Downs Windward S., L.
NOBLE COMMANDER (c Forestry) 3 wins from 6f to 1m in 2018, Fair Grounds Woodchopper S., L, Tampa Bay Downs Ocala Breeders' Sales Sophomore S., L, 3d Laurel Federico Tesio S., L.
NOBLE BIRD (c Birdstone) 7 wins from 1m to 9½f, US$1,327,945, Churchill Downs Stephen Foster H., Gr.1, Keeneland Fayette S., Gr.2, Pimlico Special H., Gr.3, Churchill Downs Lukas Classic S., L, 2d Churchill Downs Alysheba S., Gr.2, Keeneland Ben Ali S., Gr.3. BROTHER PAT (g Any Given Saturday) 16 wins-2 at 2-from 1600m to 2000m, US$298,636 in U.S.A., Canada and Puerto Rico, Camarero Copa Barbosa, L.
LORCCAN (c Aptitude) 7 wins-1 at 2-from 6f to 13f, US$278,481, Belmont Salute Me Sir S., L, Aqueduct Coyote Lakes S., L, Allowance. GOCEK (c After Market) Champion Imported Older Male in Peru in 2012-13. 8 wins from 1000m to 2400m in Peru, Monterrico Clasico La Copa, Gr.2, Clasico Aniversario de la Fundacion del Jockey Club del Peru, L, 2d Monterrico Clasico Hipódromo de Monterrico, Gr.2, Clasico Presidente de la Republica, Gr.2, Clasico Aniversario de la Fundacion del Jockey Club del Peru, L, Clasico Laredo, L, 3d Monterrico Clasico Almirante Miguel Grau Seminario, Gr.2, Clasico Santorin, Gr.3, Clasico Batalla de Tarapacá, L, 4th Monterrico Clasico Jockey Club del Peru, Gr.1. TANZANA (c Freefourinternet) 5 wins-2 at 2-from 5f to 8½f, River Downs Select Cradle S., L.
Gentle Hero (g Hero's Honor) 8 wins at 5f, 6f, York Crawley Warren H., Newmarket Lancaster Porsche H., 2d Newmarket Hopeful S., L.
HELENUS (c Helissio) Champion 3YO Colt in Australia in 2002-03. 5 wins from 1600m to 2500m, A$2,114,680, Victoria Derby, Gr.1, MRC Caulfield Guineas, Gr.1, STC Rosehill Guineas, Gr.1, MVRC Bill Stutt S., Gr.2, AAMI Vase, Gr.2, 2d VRC Drumstick Royale P., MRC Encounter H., 3d MRC Guineas Prelude, Gr.3, 4th AJC Hobartville S., Gr.2. Sire. ATOMIC FLASH - KEY TO SUCCESS (H.K.) (g Geiger Counter) 6 wins-1 at 2-at 1200m, 1400m, NZ$23,325, HK$4,213,500, Whangarei RC Northland Breeders' S., L, HKJC Helene Star H., Hong Kong International Day Cup H., Chinese General Chamber of Commerce Cup H., So Kon Po H.
Going Supersonic (c Super Concorde) Winner at 2, Leopardstown Kilsallagh 2YO S., 2d Phoenix Park Rohan Group EBF 2YO S., 3d Leopardstown Orby S., L.
Brightwood (c Dynaformer) 2 wins at 1m, 1½m, Keeneland Allowance 3YO+, 2d Laurel Turf Cup, Gr.3. SCHOOL HOUSE (c Limehouse) 8 wins from 5½f to 8½f, Delaware Park With Anticipation S., L, 2d Delaware Park Eight Thirty S., L, 3d Delaware Park Cape Henlopen S., L.